I have been using Premier instruments for gigs, concerts and recordings for a long time. These instruments always give me total satisfaction during my performances thanks to their great quality of sound and projection and ease of transportation. I highly recommend Premier instruments to all my fellow percussionists. 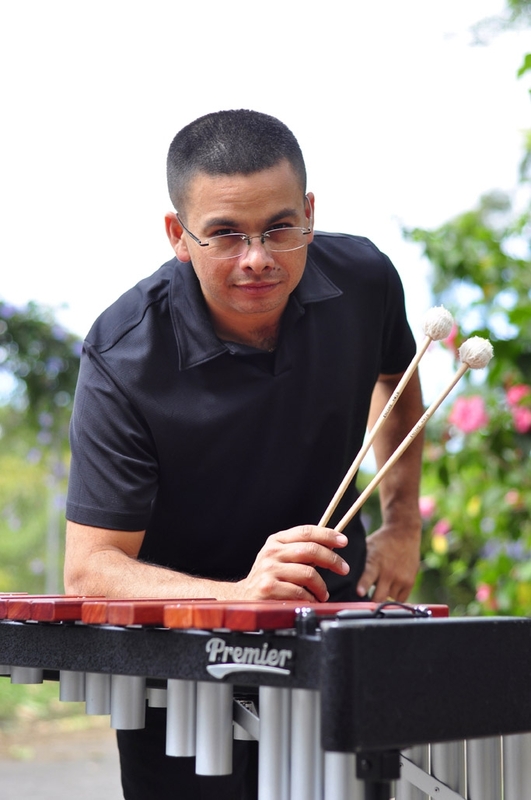 William Ramos has quickly become one of the most important exponents of the marimba in Costa Rica. Born in Turrialba in 1972, he started his musical studies at a very early age with his father William and by the time he was 11, already had won first place in the category of “Instrument Soloist “ in the competition “Voces de mi Tierra” sponsored by the national radio and television of Costa Rica. 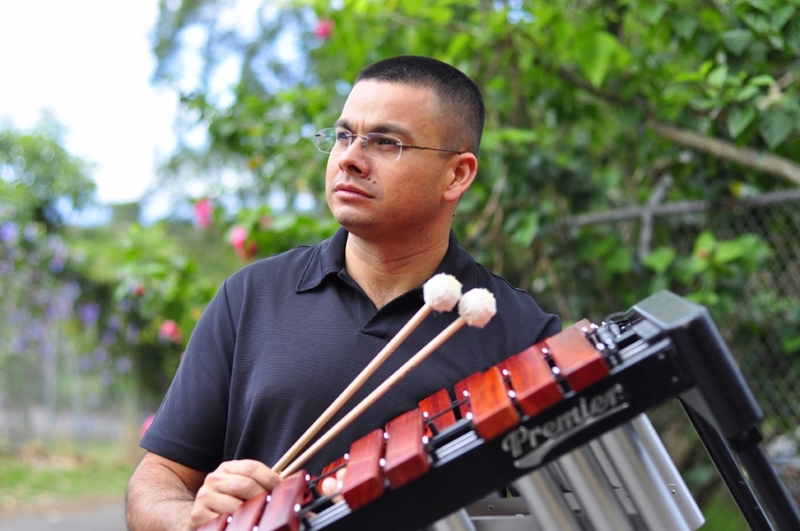 William went on to study at the National Institute of Music and the University of Costa Rica under prestigious percussionists Bismarck Fernandez and Fernando Meza, winning the “Gold Medal” prize in 1993 in its first edition. Hhe has also attended the Tanglewood Music Center and Sewanee Summer Music Center in the US, studying with Thomas Gauger and Frank Shaffer where he was the featured soloist performing Paul Creston’s Concertino for Marimba and Orchestra. Since 1994 William is member of the National Symphony Orchestra of Costa Rica, with have toured the United States, Central America, Europe and Japan. Along with his orchestral work, William is a founding member of the percussion UNED-Costa Rica, winner of the 2009 National Music Prize and with whom he has performed in many of the most important music venues around the world; one of the highlights being a concert given in May 2002 at the Seoul Drum Festival in Korea, and at the official FIFA event in commemoration of the 2002 football World Cup Japan-Korea 2002. A regular soloist since 1993, William has performed with a variety of ensembles and artists both in Costa Rica and abroad, including appearances with the Solomon Group, Humberto Vargas, Max Goldemberg, Guadalupe Urbina, “Is be Schkena” – a folkloric group which participated in the “Rhanpujar Mahamela Festival” in Bombay, and the Everest Nepal Culture Group in Katmandú y Pókara, Nepal – the ensemble “Son de mi Tierra” - with appearances in Lima, Perú - and the Banda Municipal de Turrialba, Youth Symphony Orchestra of Costa Rica, National Symphony Orchestra and the Sewanee Festival Orchestra. Also, in June 2006 William represented Costa Rica in the World Philharmonic Orchestra in France. Since 2010, William is an endorsing artist for Encore Mallets, and in 2011, has proudly joined Premier. In December 2011, he released his first album album called “William Ramos - Madera y Son”, which is a tribute to the music of Costa Rican composer Ramon Gomez. In addition to his work as performer, William and her sister Kathia are owners of the company "Eventos Musicales R & C, S.A", which is dedicated to the production of musical and dance performances for all types of events. This company is also dedicated to the importation and sale of musical instruments and accessories.